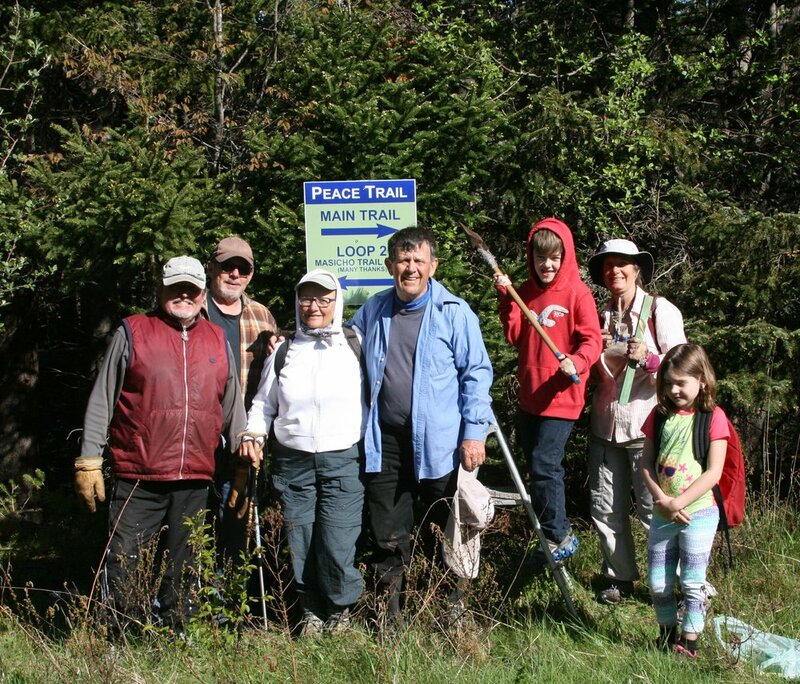 Our intrepid volunteers have spent two Sundays putting up the signs for the Peace Trail. One of the days was warm; last Sunday not so! One more work session and the trail will be complete. 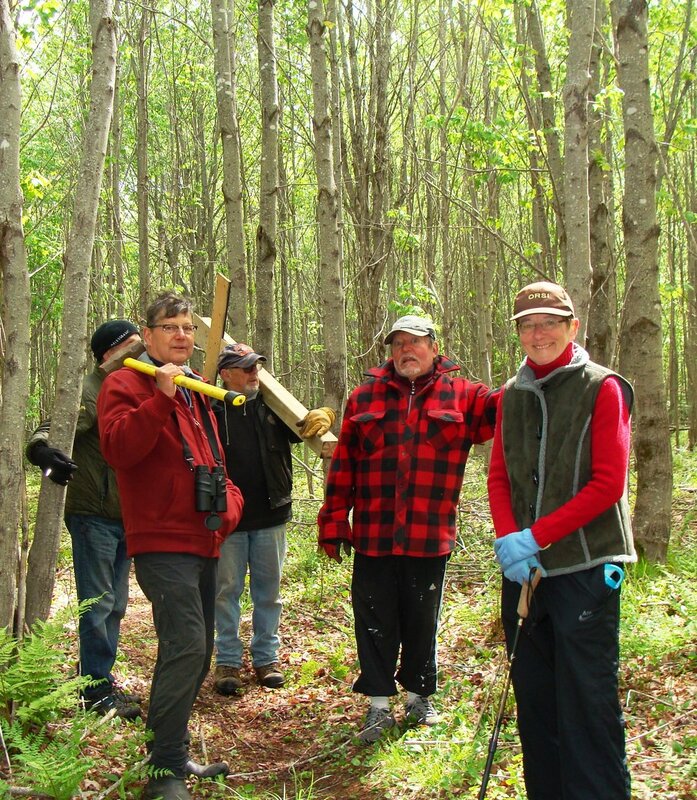 Many hands do make for light work - and a picnic after never hurts!